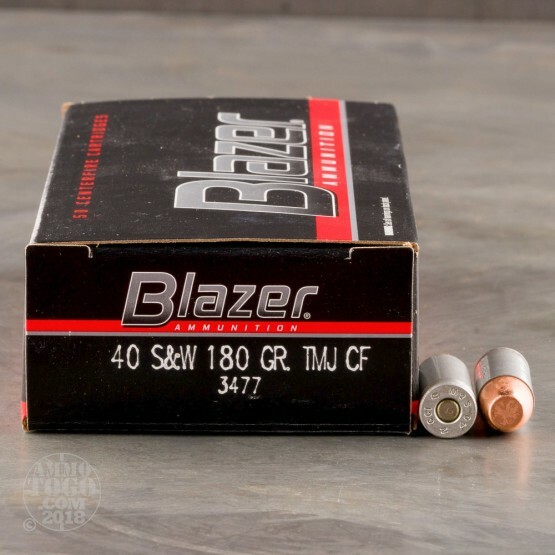 This is .40 S&W CCI Blazer 180gr. Total Metal Jacket Clean-Fire Ammo. Blazer ammunition delivers the ballistic uniformity, accuracy, reliablity and power of service ammunition, at a substantial savings. The savings is in the case. It's made from a high-strength aluminum alloy, like that used in 30mm anti-tank rounds. Made with CCI Clean-Fire primers and Speer TMJ bullets. 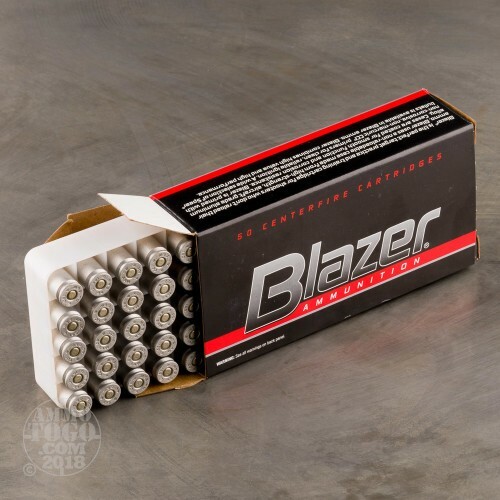 Designed for indoor ranges, Blazer Clean-Fire virtually eliminates airborne lead, barium and antimony at the firing point, and gives you realistic recoil and point-of-impact. The air, your gun and your hands stay cleaner. Make your training time on the indoor range count with this great product. 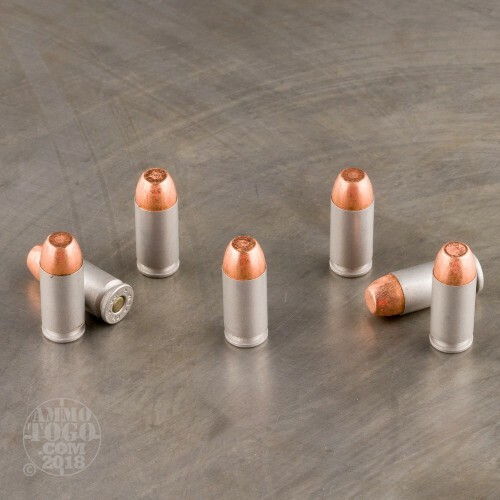 Spent Clean-Fire cases look almost unfired when compared to traditionally primed ammunition. The heavy metals have been removed, producing a clean burn. 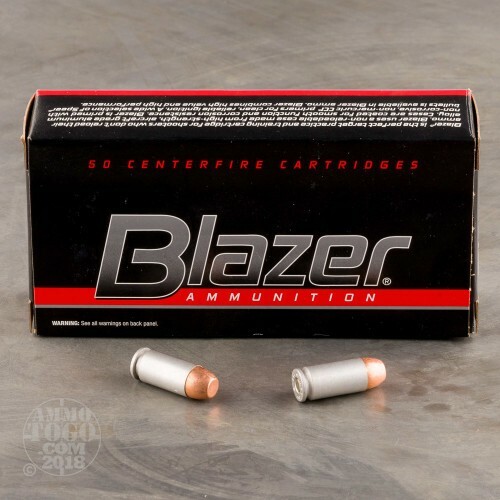 Give it a shot - you'll see why law enforcement agencies across America trust their training ammunition needs to Blazer ammunition. This ammo comes packed in 50rd. boxes.